The first step in the purchase and sale of real estate in Massachusetts is the execution of an Offer to Purchase. Historically, agents and attorneys have used the Offer to Purchase Real Estate form generated by the Greater Boston Real Estate Board which has been around since the 1960’s. 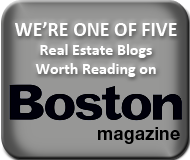 Recently, however, I’ve been seeing an increase in the use of the newer and more modern Massachusetts Association of Realtors Contract to Purchase Real Estate Form #501. I don’t think most Realtors, attorneys and consumers realize that these two forms have some critical differences, depending whether you are representing the buyer or seller. I’m going to outline the differences and similarities in this post. Representations Yes with waiver language No. Both the MAR and GBREB offer forms are legally binding contracts to purchase and sale residential property in Massachusetts as I’ve written about here. They both have the basic and critical components for a deal: identification of the property, price, deposits, good-through date, closing date, “good and clear record and marketable title” language, and P&S deadline, among other provisions. The GBREB is clearly a more seller-friendly form, while the MAR form is definitely more friendly to buyers with some caveats that I’ll discuss below. Does this mean that if you are a buyer agent, you absolutely have to use the MAR form? No, but it may be a good practice to get into. Some agents are more comfortable with the older GBREB form, and that’s fine. They just should be cognizant of the differences in the two forms and how it may help or hurt their clients. The first critical difference in the two forms is the inspection contingency. The MAR form has all inspection related contingencies (home inspection, pest, radon, lead paint, septic, water quality and drainage) built into the form, while the GBREB form uses a separate addendum for each type of inspection. The major difference, however, is what will trigger the buyer’s right to terminate the deal based on an inspection issue. The MAR form is extremely buyer-friendly, providing that the buyer may opt out of the deal merely if any of the inspection results are “not satisfactory.” You can drive a Mack truck through that open-ended language. The MAR form also has some often overlooked waiver language — (1) protecting Realtors from getting sued if the buyer does not conduct inspections, and (2) making it more difficult for a buyer to get out of the deal if she doesn’t provide timely notice of termination based on an inspection issue. The GBREB form is far less buyer favorable, providing for an opt-out only for “serious structural, mechanical or other defects” the cost to repair of which is a dollar amount to be filled in (usually ranging from $500-$2500). Both the MAR and GBREB forms give buyers a standard financing contingency, enabling buyers to obtain a firm loan commitment at “prevailing rates, terms and conditions” by an agreed upon date. The contingency language is almost identical in both forms, so there’s no issue here. The MAR form has a modern provision confirming that the buyer has received all the various disclosures required by law, including the agency disclosure, laid paint, and Home Inspectors Facts for Consumers brochure. The GBREB does not have this provision. The MAR form also has some very agent-friendly waiver of representation/warranty language in this clause, providing that the buyer is not relying upon any of the Realtor’s representations, MLS or advertisting concerning the legal use, zoning, number of units/rooms, building/sanitary code status of the premises. However, I’m not sure this provision would pass legal muster in light of the recent SJC ruling in DeWolfe v. Hingham Centre holding an agent liable for misrepresentations concerning the zoning classification of property. Nevertheless, Realtors can use all the legal protection they can get in this litigious environment! There is no easy answer to this question. All things being equal, if I’m a buyer agent, I would go with the MAR form. (And buyer agents are typically the ones who are writing up the offers). The MAR form is more buyer-friendly while at the same time gives Realtors way more legal protection than the GBREB form. If I’m representing the seller and have the opportunity to select the offer form, I’ll go with the old-standby GBREB form for the simple reason that it will give the seller some more leverage in case of a home inspection battle. But I would still seriously consider trading up to the MAR form. I’ve embedded both forms below. Agents, attorneys, readers what are your thoughts? Post in the comments below. Also, if you are interested in joining the Massachusetts Association of Realtors or the Greater Boston Association of Realtors, click on the respective links. Both are great organizations and extremely helpful to new and established agents alike!